Join us Thursday, September 6th at Oakhurst Country Club (www.oakhurstcc.com) in Clayton for a complimentary Business Networking Social Event from 5:00pm – 7:30pm. 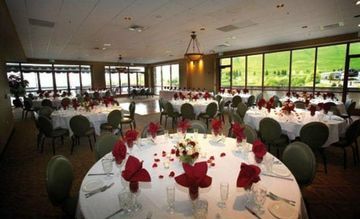 Enjoy hosted appetizers and the breathtaking views of Oakhurst’s golf course and Mt. Diablo while socializing with fellow networkers. Network and socialize with other young professionals, successful entrepreneurs, business owners, attorneys, bankers, real estate developers, physicians, technology gurus, sales and marketing experts and other professionals who live or work around Bay Area. This September 6th event is the perfect combination of workshop and networking. Hosted by Oakhurst Country Club and Guest Speaker David Mitroff, Ph.D. who will briefly speak from 6:00pm – 6:20pm on Social Media Strategies for your business or organization. This interactive 20 minute workshop will be conducted by business consultant, David Mitroff Ph.D. We are excited to have David network with our group, share his insight and tips to creating more successful business branding for each of our own ventures. More information about David: www.PiedmontAve.com. 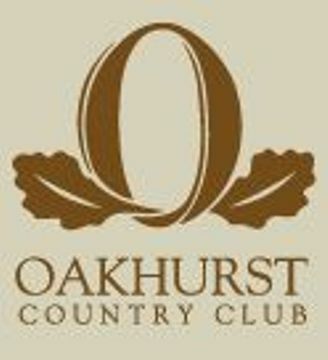 Oakhurst Country Club re-defines the private club experience. Located on the lush, rolling terrain in the shadows of Mount Diablo it is conveniently located on Clayton Valley Road with plenty of free parking. This complimentary event is held on September 6, 2012 from 5:00pm-7:30pm at Oakhurst Country Club in Clayton. Our events have at least 40 people, up to 175 people depending on the venue. We make sure people are open and approachable, regardless of how many people show up… you will be able to meet and talk to anyone… our greeters will be there to make introductions and keep things moving. Bring your cards. Bring at least one card for Walnut Creek Events, so we can enter you in a raffle. We a gift card for the restaurant, free round of golf and more. Located on lush, rolling terrain in the shadows of Mount Diablo, Oakhurst Country Club re-defines the private club experience. Blending the time-honored traditions of golf with modern, upscale conveniences, the club boasts a magnificent Ron Fream designed championship layout; an array of golf, social and recreational amenities; and the personalized service and exclusive privileges that have earned it recognition among the finest private clubs in Contra Costa County. Join us every month for the open to the public complimentary Business Networking Social Event from 5:00pm – 7:30pm on the First Thursday of Every Month. Named the “Best New Course in Northern California” by California Golf magazine when it opened in 1990, Oakhurst Country Club’s breathtaking par-72, 6,746-yard championship layout continues to captivate golfers thanks to its imaginative design and outstanding conditioning. 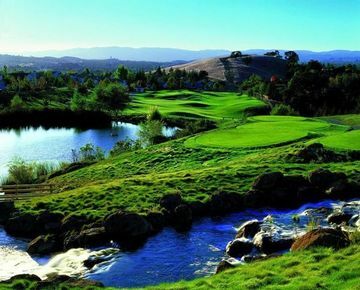 Designed by noted golf course architect Ron Fream, the links-style layout blends seamlessly with its rugged natural surroundings in the foothills of Mount Diablo, with well-guarded greens, numerous elevation changes and more than 360 acres of lakes and natural wetlands creating both strategic diversity and a stunning backdrop for golf.